One thing that female-fronted bands often understandably take umbrage to is the apparent inability of many to distinguish between between an actual band and a singer and a backing band. And looking past any outdated dubs of ‘eye candy’ that aren’t worth the time or effort discussing, it’s very rare that an entire outfit will be lifted to star status rather than just the female singer for the sole reason of being female. It’s becomes even more iffy when the frontwoman is openly described as the mastermind behind the project, which brings us to Finding Kate, the musical moniker / band of Greco-Australian vocalist Kate Pavli, and their debut album If I Fall. And from even just a cursory listen, you can tell that Pavli is the star of the show. It’s very much an Avril Lavigne type situation, with the frontwoman being the clear focal point with a backing band to flesh the sound out. Except Finding Kate are a bit more complicated, falling in the limbo between that actuality and the proper band that they’re supposed to be. Thus it’s difficult to really judge this album when it’s hard to define exactly what it is, but regardless of which perspective it’s viewed from, overlaps do crop up. The actual musical direction that they go for is the main one, with a sound falling somewhere between Avril Lavigne’s rockier moments and less gothic Evanescence, poised and elegant without being too austere. But with a sound as rigid and colourless as this, If I Fall outstays its welcome in record time, only ever budging from its set template when the strings and pianos are a bit more muted on the more guitar-centric White Lies. It sounds pretty, sure, but the treacle-slow pace this album progresses at really takes its toll, and given how most of these songs are well over four minutes, you feel every second. It’s definitely Pavli herself that’s the source of this album’s main positive points. What she lacks in real nuance, she makes up for with a liquid flow and emotive power, establishing herself as a very strident presence on tracks like Forever and Get Over You, and injecting some welcome oomph into the lonely piano of It’s Over. The sleek production serves to highlight her contributions even more, sharpening it even more and making it sparkle with clarity. It’s the aspect that works the best on If I Fall, but it’s still not the source of absolute redemption. Like the rest of this album, the aforementioned production feels very cold and distant, and placed over the basic post-grunge guitars and strings, the whole thing desperately lacks texture and warmth. What’s more, it’s consistently devoid of anything close to a standout feature, making the whole thing even more runny with everything bleeding together into one tepid, monochromatic slog. Perhaps If I Fall‘s biggest flaw is that it’s just unable to hold any interest. As objectively nice as they sound, Finding Kate’s constant rehashing of the same basic structure paints them as such a limited musical prospect, especially when what is apparently their strongest suit is as passive as this. In Pavli, they’ve got a strong frontwoman, but one whose talents are currently being haemorrhaged thanks to underwhelming, uninteresting songs and presentation. It’s possible that something can be made of Finding Kate, but it’ll take a lot of work because this is far from the finished article. 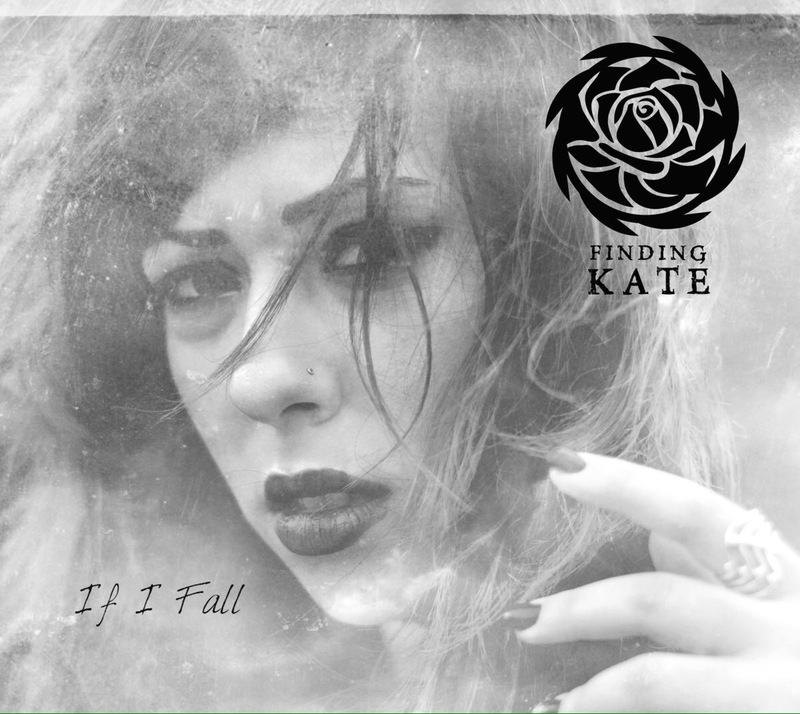 ‘If I Fall’ by Finding Kate is released on 18th November.